The “Do Something Now” Campaign! December 4, 2010 January 27, 2015 ~ s a r a . .
A few months ago, when Pakistan was afflicted with Floods on a humongous scale, it had become next to impossible for most of us, not just as Citizens of the same Country, but also as mere humans living on the safe side to lead lives as normal people. I shall not speak of others. I personally felt guilty if I even enjoyed so much as a “happy laugh moment” with my friends.. because, at the back of my mind I knew.. while I live on calm, there must be someone out there crying for help, while we enjoyed a Sunday brunch with folks on a day highlighted with a bit of the beautiful drizzle, there was probably someone drenched with a gazillion miles flooded ahead waiting, praying, hoping.. to be rescued. I hadn’t exactly lost my appetite, and I certainly wasn’t losing weight, just that, the thought at times that families out there were depending on the government and some noble communities to feed on! Well that’s where we were introduced to the trend of collections & donations. I participated and contributed with family, relatives and friends, and that’s when I came to know about Freaks! I am actually proud to know them personally! 🙂 These cool people are actually from my circle of friends & colleagues at work! Well Freaks is at it again! This time around, they are collecting blankets for the needy lot! I shall post updates as soon as I have them for those of who would like to contribute for the great cause! “Freaks” is an organization formed by a group of young, passionate people, and their initiative is to make current day Pakistan a better place. At FREAKS we believe in FREEDOM, RESPONSIBILITY, EMPOWERMENT, ACTION, KNOWLEDGE & SERVICE. Though young in age, FREAKS are mature and diverse in expertise. We hold an amalgamation of experts in awareness building, public speaking, strategy, graphic design, photography, project management, and above all, the expertise in giving. The organization is currently working on flood relief efforts in Pakistan under the campaign ‘DO Something NOW!’ Individuals, organizations and institutions are encouraged to buy shirts and wrist bands with the tag. This initiative started in August 2010 when this group of Individuals started working passionately collecting donations and volunteering anywhere where it was needed. Passion is contagious and when channelized in the right direction it can create a cosmos! 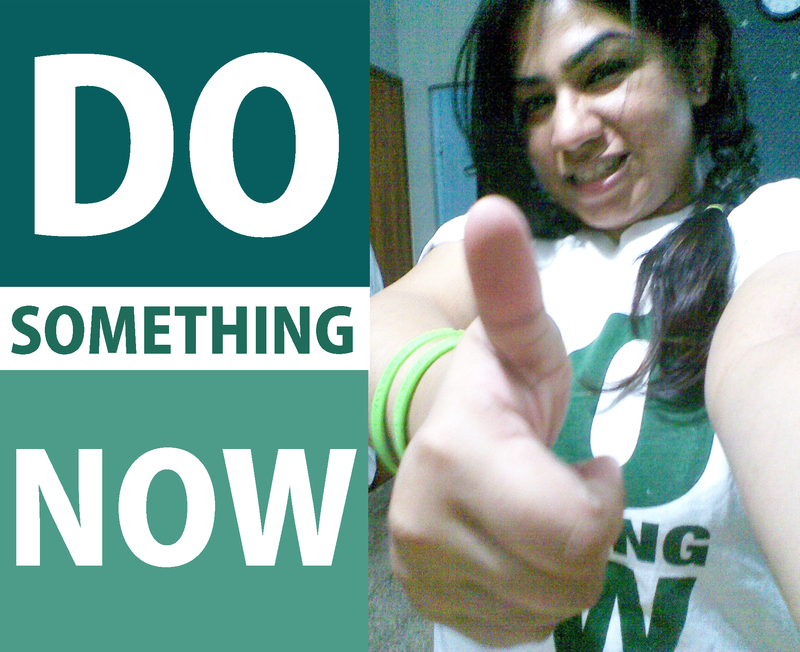 ‘Do Something Now‘ is a cam paign which has been initiated for the relief and rehabilitation of the flood affected families started out by a group of young, talented and enthusiastic young individuals who call themselves ‘freaks’; they do not only believe in the concept of ‘Love Pakistan‘ but are part of the concept of ‘Being Pakistan‘! Anyone can be a part of “freaks”. Everyone is requested to “Do Something Now“!